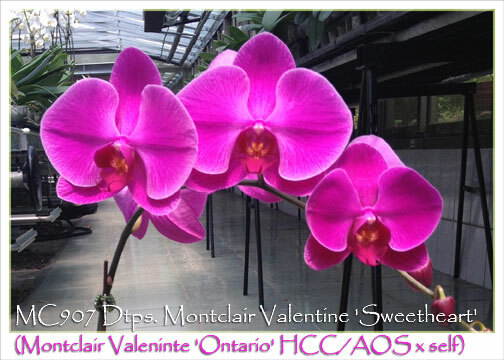 Our line selection from a selfing of the awarded clone, ‘Ontario’ HCC/AOS, producing classic glowing lavender-pink flowers on naturally cascading inflorescences ! 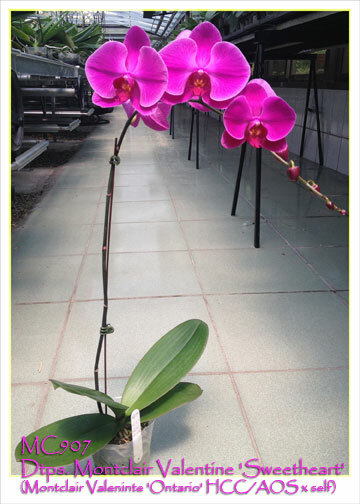 Its long-lasting 4”+ heavy substance flowers are a natural standout, with each flower displayed beautifully in a waterfall presentation on the spike for maximum impact. A real eye-catcher producing a good flower count and Highly Recommended !